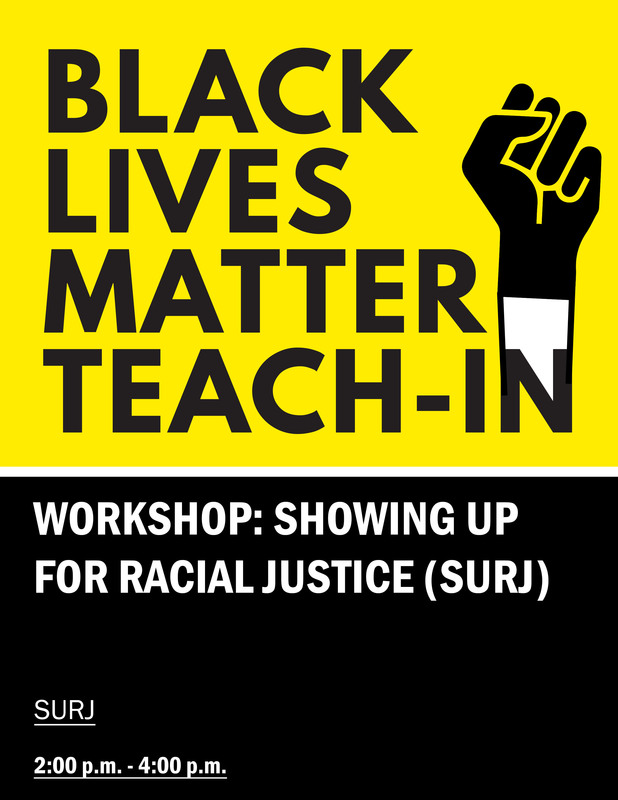 SURJ is a national network of groups and individuals organizing White people for racial justice. Through community organizing, mobilizing, and education, SURJ moves White people to act as part of a multi-racial majority for justice with passion and accountability. We work to connect people across the country while supporting and collaborating with local and national racial justice organizing efforts. SURJ provides a space to build relationships, skills and political analysis to act for change. Location: Alumni Reading Room, 3rd Floor, Library.